Startup Capital - TLH is an interview and podcast series focused on spotlighting and supporting the entrepreneurial community in Tallahassee, Florida. Whether it’s the quintessential morning brew or a late afternoon pick-me-up, coffee is what fuels many an entrepreneurial dream. We brew it, drink it, crave it, and many of us can’t live without it. For some local entrepreneurs, the dream is powered by one brewhouse in particular: Catalina Café. Founded in 2010 by a couple of local entrepreneurs, Catalina Café is a gourmet coffee shop that’s grown quickly from their first location on Capital Circle. Patrons of Catalina know that they can depend on a consistent experience that the owners, Maurice Moulton and Trish Allaire, have worked hard to create. Their coffee is locally-roasted and fresh-ground, and their menu features a list of sandwiches, baked goods and other delicacies that pair nicely with any of Catalina’s signature drinks. Soon, they’ll be opening a large scale roasting operation and tasting room in Tallahassee’s up-and-coming south side, where they will expand their production volume and also begin offering coffee roasting and tasting classes for locals. Startup Capital host Alissa McShane spoke to co-founder and coffee expert Maurice Moulton to find out the secret behind Catalina’s consistently delicious coffee, and their rapid growth. Founded in 2017, The Jim Moran School of Entrepreneurship at Florida State University is part of an ongoing effort to bring entrepreneurship to the forefront of undergrad education at the institution. The School is home to the new entrepreneurship majors at Florida State, as well entrepreneurship programs for non-majors and university faculty. Dr. Susan Fiorito, the Jim Moran School’s director, is in charge of sustaining and scaling the school’s growth and finding new opportunities for its students. A lifelong entrepreneur herself, Fiorito has been teaching entrepreneurship and advocating for entrepreneurial education for nearly the past decade. For season 3, episode 6 of the Startup Capital podcast, host Alissa McShane sat down with Fiorito to learn more about her story, and to chat entrepreneurship and education in the capital city. To hear Dr. Fiorito’s advice for small businesses and entrepreneurs, and find out how “saying yes and figuring it out later” can pay off, listen-in this episode of the Startup Capital podcast by Cuttlesoft. Most people would say that the best part about a good night's sleep is waking up feeling refreshed, energized, and ready to meet the challenges of the day. A good night's sleep can set you up for success, while waking up on the wrong side of the bed can set you up for, well, a different result. If you're using sub-par sleeping gear, that well-rested feeling in the morning might be overshadowed by an acute pain in the neck. According to today's guests, a lumpy old pillow is one big cause of poor sleep, and plenty of other health complaints as well. Founded by Tallahassee locals Adrianne and Aaron Kautz, One Fresh Pillow is a local startup that designs and manufactures what they're calling the last brand of pillow you'll ever buy. It’s no secret that Tallahassee has become a destination for craft beer lovers. While Florida's coasts may have a greater volume of breweries, the 850 region has produced an impressive number of award-winning beers recently, and the scene has grown rapidly over the past decade. Together, these breweries contribute to a craft beer community here in Tallahassee, that’s been deemed Florida’s “Craft Capital.” To hear from Proof, Grasslands, Ology, Lake Tribe, and Deep Brewing, listen-in to Season 3, Episode 4 of the Startup Capital podcast by Cuttlesoft. High-tech startups get all the attention here in the U.S., but the fact remains that many new businesses aren’t related to technology at all. Thousands of companies open up shop each year in America ranging from law firms to barbershops to martini bars. And let’s not forget the food industry. Here in Tallahassee, one local organization helps food-related businesses get started by providing space, advice, and networks to “micro-businesses” from around the 850. Focused on aiding businesses from the surrounding Frenchtown neighborhood, The KitchenShare Incubator at the Frenchtown Heritage Hub Farmer’s Market has been giving food startups a healthy push since 2014. By providing resources and expertise to local food and agriculture businesses, they're helping revitalize a historic Tallahassee neighborhood. Season 3 host Alissa McShane spoke with Interim Director Samahdi Jones and Market Manager Lauren Chappel to find out how KitchenShare is making an impact locally. To learn more about the KitchenShare Incubator, and to find out how you can get involved in local food entrepreneurship, tune in to Season 3, Episode 3 of the Startup Capital Podcast by Cuttlesoft. Fast forward to 2018, and they've sold over 1,200 bottles and received more than 80 five-star reviews. But as you'll find out, it took luck, years of hard work, and a healthy dose of persistence for them to get where they are today. Season three host Alissa McShane sat down with Telford and Bracciale to learn what it took to get their idea off the ground, and what they plan to do next. To hear from Fly Mouthwash’s founders, and to find out the story behind the success, tune in to Season 3, Episode 2 of the Startup Capital podcast by Cuttlesoft. "Hey babe, can I buy a drone?" Alex and Chelsea Workman have been living here in Tallahassee for just over four years. In that short time, their work has made them "Tallahassee's famous." As digital media storytellers, the Workmans help people tell their stories. Alex does this through photography and video. Chelsea prefers to work behind the scenes - producing content and putting together the final product. Together, their expertise culminates in The Workmans, the family's own brand and creative production agency. Along with their son, Keegan (the "unofficial junior mayor of Tallahassee") they work to help Tallahassee businesses and individuals tell their stories. On top of that, their viral Aerial Tallahassee series has given Tallahassee the identity residents were craving. "There was this mental transition that happened from 'I want to learn to love where I live,' to 'I want to create a place that I want to live.'" To learn about how this dynamic young couple has made such a big impact in Tallahassee in a such a short time, tune in to Season 3, Episode 1 of the Startup Capital podcast by Cuttlesoft. Stay tuned after the show for a short announcement about the prizes coming to a few lucky Startup Capital fans! We're holding a drawing for Startup Capital newsletter subscribers featuring prizes from Startup Capital and the Workmans. Visit startupcapital.cuttlesoft.com/subscribe to enter to win! How will the 2018 Tax bill affect new and small businesses? Back in December, the GOP-sponsored tax bill titled the "Tax Cuts and Jobs Act of 2017" was signed into law after a relatively quick journey through both houses of Congress. The bill, containing long-awaited tax cuts and reform, has several stipulations which will affect small businesses and startups during the 2018 tax season. This bill, while the subject of intense debate, is going to affect next year's taxes, and there are ways businesses should prepare. To find out which aspects of this bill are relevant for startups and small businesses, we brought in David White, CPA and Partner with Carr, Riggs and Ingram. In this 10-minute bonus episode of Startup Capital, we asked David how this bill will affect startups, and how the playing field for all businesses will be shifting in 2018. 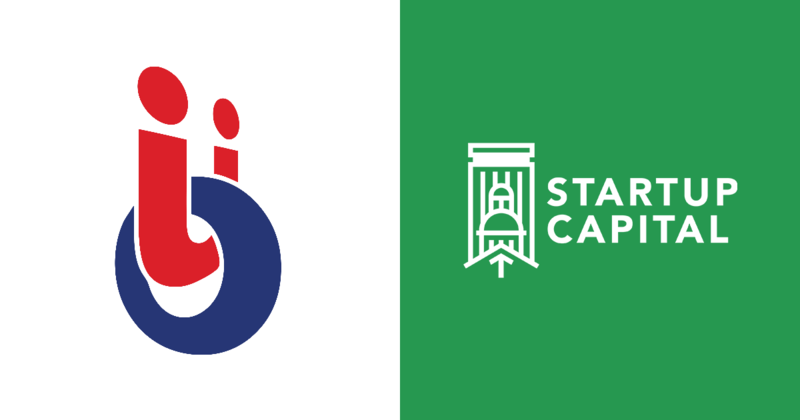 Welcome to the Startup Capital Season 2 finale! This is our Season 2 capstone episode, which means that instead of interviewing individual founders and leaders, we’ll be closely examining one company in particular: UberOps. UberOps is a healthcare IT firm that’s been growing steadily since its debut in 2004. From helping share data between hospitals, to tracking diseases for the federal government, to creating new tools to tackle newborn health, UberOps has its hands on important work that spans the globe – and they do it all from right here in Tallahassee. For Season 2, Episode 9 of the Startup Capital podcast, we decided to take a close look at this rapidly growing company. We spoke to the team to discover how their human approach to technology has helped them build a reputation as a global leader in healthcare IT. To find out the UberOps recipe for success, and their model for growth in Tallahassee, tune-in to Season 2, Episode 9 of the Startup Capital podcast by Cuttlesoft. Every parent wants their child to succeed. That means making sure they’re equipped with the right skills and the right attitudes for the modern world. For parents looking to nurture an interest in technology and in-demand STEM careers, it’s hard to know where to start. K-12 schools recognize the importance of STEM skills, and they certainly want to modernize their curricula. The problem is that institutional boundaries and lack of funding make change difficult and slow. It’s clear that to stay competitive, our education system needs to pivot, and fast. For Season 2, Episode 8, of the Startup Capital podcast by Cuttlesoft, we spoke with two people working to turn things around locally. Miranda Manning is the Recruitment Coordinator for the FAMU-FSU College of Engineering. Meagan Bonnell is the Tallahassee Director of CodeCraft Works, a K-12 coding program. Together, they’re working on local initiatives to make sure that local students don’t get left behind. To get the full scoop on K-12 STEM education in Tallahassee, and what’s being done to help our educational system adapt to the 21st century, tune-in to Season 2, Episode 8 of the Startup Capital podcast by Cuttlesoft. Support for Cuttlesoft comes from WFSU Public Media.